If you are wondering how people are getting on with their Apple iPhone 7 32GB then have a quick read of these user reviews and ratings. Awesome phone, my friend has the jet black version but after looking at it and talking with him you could see that the outside was covered in fingerprints and he admitted that it was a problem. My matte black edition is far better, no marks and easier to hold securely. Got mine and love it! I upgraded from my iPhone 6 after what seemed like forever and the iPhone 7 does not disappoint ... Familiar yet faster, nicer to hold and use. 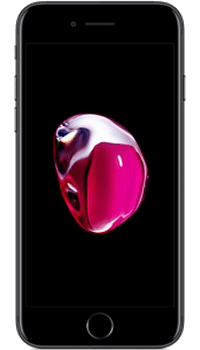 Have you used the Apple iPhone 7 32GB? Please take a moment to send us your review. This will help others decide if it is their ideal phone.